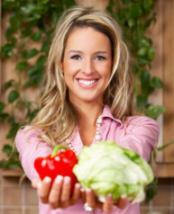 Some of the benefits of adding in more raw foods may be to improve eyesight naturally. The following article is a guest post submitted by Dunya Carter. One of the many raw food diet benefits may be to naturally improve eyesight. Anyone who is new to the idea of eating raw foods to improve health would be surprised at the benefits available. 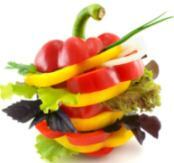 Raw foods, particularly raw fruits and vegetables, are full of nutrients the body needs to maintain good health. Furthermore, the nutrients in raw foods preserve the initial integrity while cooking the foods can break down some of the benefits. Raw foods actually helps your body reap the most of what you eat, adding more nutrition, and helping you to see better. Although raw fruits and vegetables are all good for the body, when your goal is improving your eyesight you need to select the appropriate foods that benefit the eyes. Vision is broken down into two main categories: daytime vision and night vision. Both categories are equally important and different raw foods are helpful to one or the other. For those who want to improve their daytime vision, select yellow or orange colored fruits and vegetables. The beta-carotene found in carrots or squash combined with the vitamin A helps improve daytime vision. Another key to good vision during the day is protection against the sun damage. Sun damage often affects overall vision, particularly during the day. Eating raw spinach, kale or other leafy greens will improve eyesight naturally by adding extra protection against damage from light. Leafy greens are easy to eat raw since you can blend them into a green smoothie and other raw recipes. Improving night vision requires fruits that contain anthocyanins. These powerful antioxidants improve eyesight naturally and make your night vision better. Blueberries, huckleberries and grapes are particularly high in anothocyanins, so eat these raw fruits to improve your sight at night. While eating raw fruits and vegetables like carrots, blueberries and spinach will all help keep your eyes healthy and improve your vision, they are not the only important features of a raw diet for healthy eyes. Minimizing the chances of developing cataracts and maintaining the health of the lens of your eyes is also important. Eating raw onions, garlic and soy will help prevent the formation of cataracts and improve the lens health of your eyes. Furthermore, these foods are naturally anti-inflammatory, so they help reduce inflammation throughout the body, including any inflammation in and around the eyes that might cause problems. Dunya Carter is a health writer from Sydney. She is a medical student interested in cataract surgery. 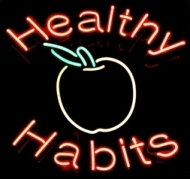 In her free time she writes for several blogs on topics related to health. Thank you Dunya for contributing this good information on the benefits of raw foods for eye health. I will definitely be adding more of the orange colored vegetables to my diet. I hope that our readers have found some of Dunya's tips helpful and inspiring to take care better care of your eyes. We only get one pair.